Tai Chi is a beautiful art, no doubt about it. As with good Karate Kata or Taekwondo forms, the transitions from one posture to the next can become, with much practise, aesthetically pleasing to perform – and to watch. As with music of a superior quality or as with great visual arts that have the power to draw you toward them, there are no bystanders watching from off to one side when great Tai Chi is being performed because the performance and its surrounding always become one and whether someone watching is aware of it or not, the onlooker always becomes part of the Tai Chi stream. Tai Chi was originally developed out of a series of combative postures. Yes, the rhythm of the art is built around the transitions between the postures, and in most cases nowadays, the speed of the transitions is about middling slow, an unhurried pace but one that tends not to linger around one posture too long. So the Yang Style 108 movement form may run in practise anywhere from about seven to fifteen minutes or so. 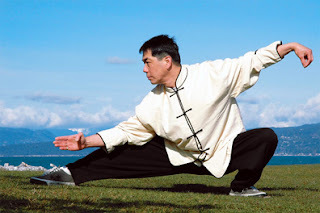 Yes, the postures are indeed connected by transitions but often, especially in Tai Chi applied as a martial art, the transitions themselves are just as important as the postures. 1. A deep and sustained root, first established while in a standing position, which now, due to the extreme slowness of the pace, will carry on from posture to posture right up until the closing movement. Moving too quickly, without the patient process of establishing root, results in a skimming over the surface of what Tai Chi can truly be. It might be pretty but there is no martial depth. 3. A heaviness and fullness, especially in the arms, and, paradoxically, a lightness in those same arms right out to the fingertips, all of which are absolutely essential to high quality martial arts. Some of the advanced internal instructors believe that it is unnecessary for practitioners to constantly strike objects to develop an iron hand; heaviness and fullness, they believe is all that is required. 4. A chance to massage the internal organs, both physically and mentally. For example, moving all the organs within the digestive conduit helps reduce stagnation, insuring proper balance and flow. 5. Time enough to consider and be aware of every aspect of the Tai Chi Classics, and put them into practise down to the smallest cell in the body. When a Tai Chi practitioner slips across a field of postures at a good pace, that indeed is a healthy form of exercise. However, the forms exist to teach you, and they should be listened to, right down to their depths. 6. Time enough to begin the long process of developing an “iron” body. 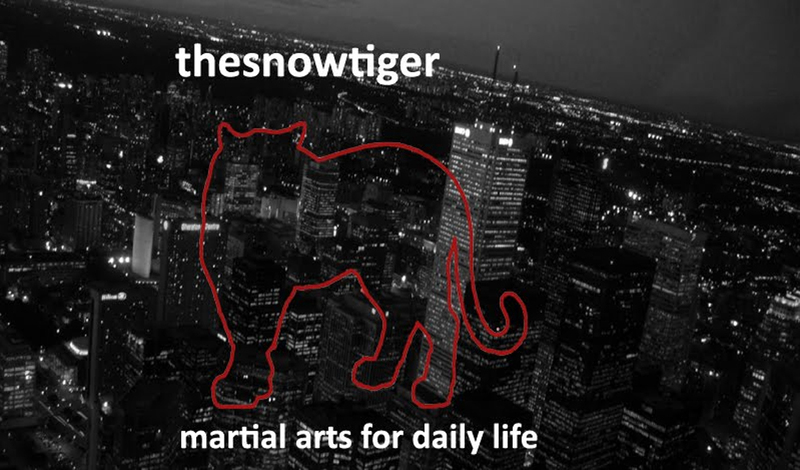 Again, some of the advanced instructors of internal martial arts share the opinion that one doesn’t have to building a heavy set of external muscles to withstand forceful blows; chi, both heavy and light, will lead you to this state, plus specific internal exercises and some traditional Chinese medicine. 7. Time enough for the mind to come to the aid of the body and help heal injuries and illnesses, sometimes through sustained work between just one posture and the next. Also time enough to work on eliminating pain in various parts of the body. Some forms of pain can be allowed to wander out of the body within a minute by certain states of mind and the movement of chi. 8. Time enough to let go of time and operate inside extended dimensions of time and space, essential as well for advanced Aikido, Ba Gua, Judo, etc. I already covered that in example #2 but I am tempted to repeat this bit of advice since it is, after all, fairly important. 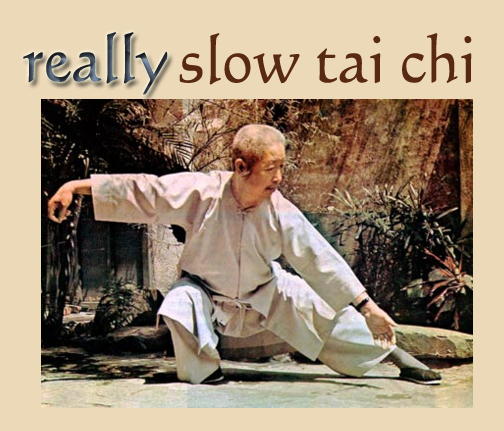 So, extreme slowness of pace, even to the point of remaining in one posture for a length of time, can allow a practitioner to develop deeper expression of Tai Chi. 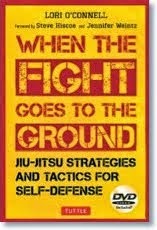 Once that level of practise becomes foundational, the next obvious step is to begin testing these concepts at an increasingly faster rate, perhaps to the level of combat speed, while still keeping all the precepts intact.